A Disney Research team has developed technology that projects coloring book characters in 3D while you’re still working on coloring them. 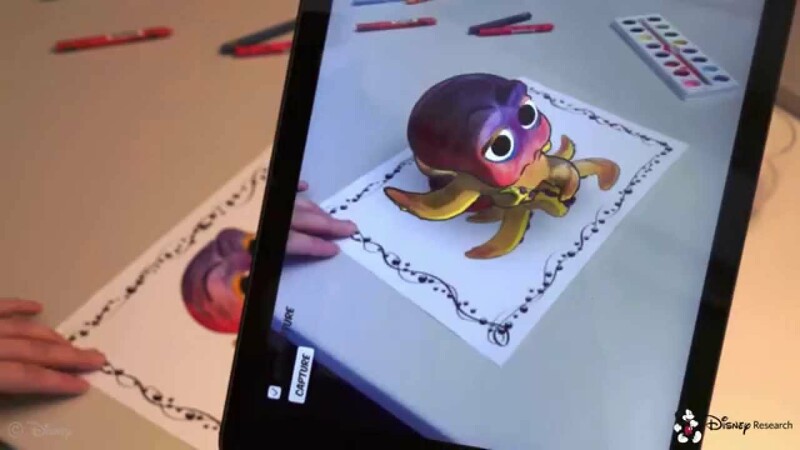 The process was detailed in a new paper called “Live Texturing of Augmented Reality Characters from Colored Drawings,” and it was presented at the IEEE International Symposium on Mixed and Augmented Reality on September 29th. That title’s a mouthful, but it’s descriptive: the live texturing technology allows users to watch as their characters stand and wobble on the page and take on color as they’re being colored in. You can see an example in the video above: the elephant’s pants are turning blue on the tablet screen just as they’re being filled on the page itself.